Following last week's decision to make its tablet actually useful with the addition of Google Apps, Barnes & Noble has now slashed the price of its Nook HD range. 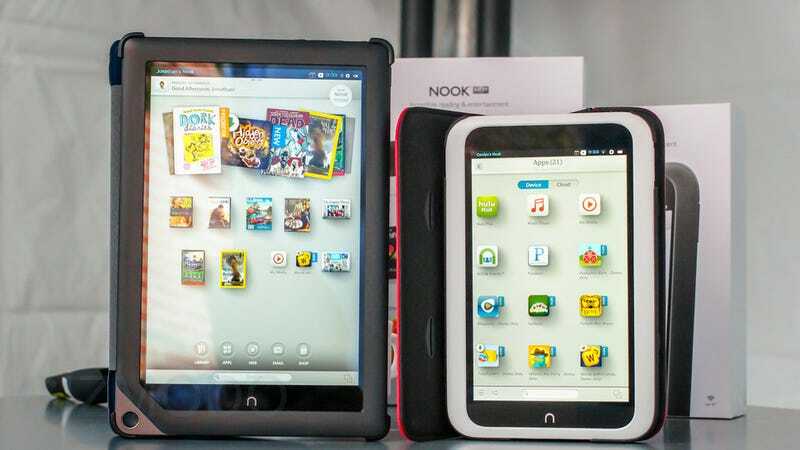 Until the 12th May—yes, this is a Mother's Day offer—the price of the Nook HD line is cut both online and in-store. So, a 8GB 7-inch Nook HD will set you back $150, down from its usual $200, and a 16GB version is $180, down from $230. If you need something bigger, the 9-inch Nook HD+ is $180 for a 16GB version (usually $270) or $209 for a 32GB one (normally $300).